You might remember our previous campaign where we built a limited run of Pioneer 8 packs in an NPCA-inspired colorway and donated 20% of each sale to the organization (If not, check it out here!). This April, in celebration of Earth Month, we are running another campaign in support of our favorite wild-space-protecting people. Now through April 21st, we're donating 10% of every sale to the NPCA. Whether you are stopping by the Factory Showroom or ordering online, we will pass part of your purchase back to the planet to keep wild spaces wild. Earth Month is a time to recognize the effect we have on our communities on both a national and local level. 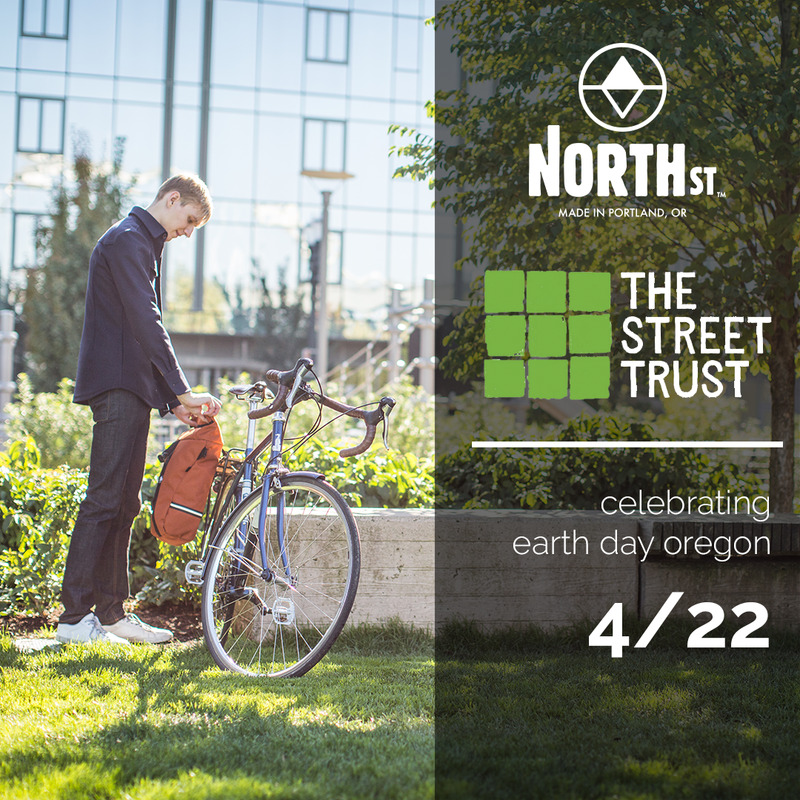 On Earth Day 2019 (4/22), we're working on another special collaboration with a local Portland organization dear to our hearts and bikes - The Street Trust of Portland in partnership with Earth Day Oregon, and donating 10% of all sales for the final week of April to support their transportation intiatives. Join us in supporting these two amazing organizations this month - whether you're planning ahead for summer adventures, perusing for early Mother and Father's Day gifts, or getting outfitted to see more of the outdoors, shop sustainably this month with North St!